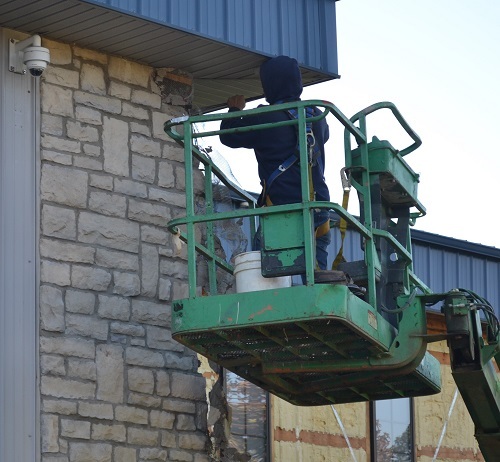 Construction crews continue to make progress on the NFocus exterior renovation project. Crews were able to remove all the siding and old insulation on the Data Center and IT building. 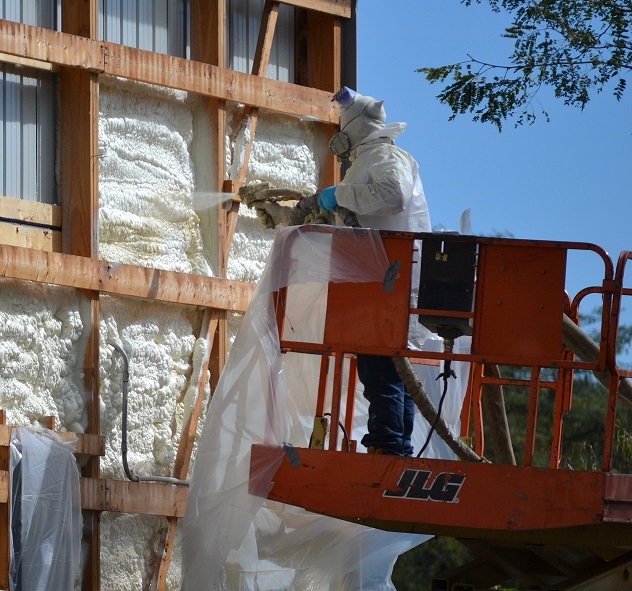 Spray foam has also been installed on the south and west facing exterior walls. 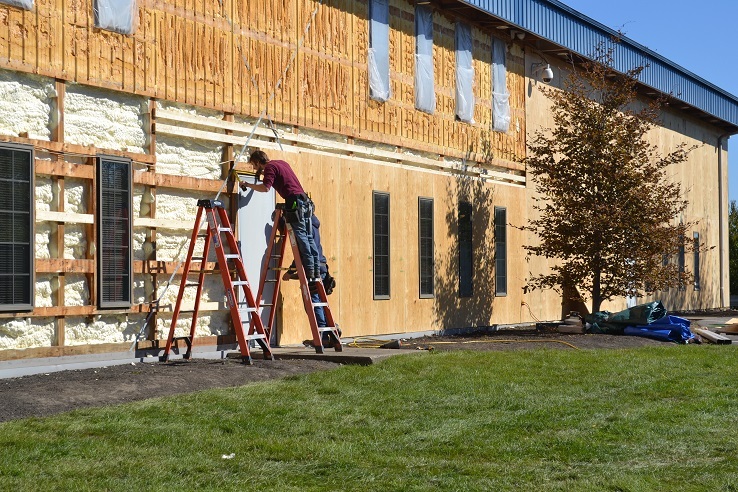 Prep work for the EFIS insulation also started with a layer of plywood going up.